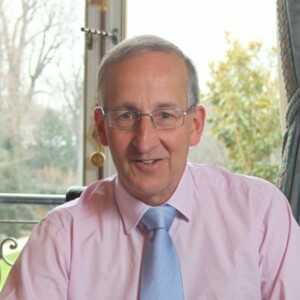 Sir Peter Ricketts has been Her Majesty’s Ambassador to France since February 2012. Can you first please say a few words about your education and your career? I grew up in the West midlands of England and attended a Grammar school near Birmingham. I then studied English Literature at Oxford University. I joined the Foreign Office when I was twenty-one, which means I have been working as a diplomat for over forty years. When did your life become Franco-British? When did you learn French? As a student, I came to Paris because it was the easiest and cheapest place to get to. French was one of my A levels classes. I learned French, studied French literature and even had a pen friend. Then, as a diplomat, I was posted several times in French-speaking countries. I worked twice in Brussels, first as a young diplomat and then as the Permanent representative to NATO. I also served twice in Paris. I have seen this city from every angle, as a visiting backpacker with no money and now as an Ambassador. Paris is a great city. Roots of cooperation go deep in history, deeper than between any other countries. Since William the Conqueror, France and Britain have always been partners and competitors. Britain and France were competing militarily in the old days, they now compete economically as they have near identical levels of population and national wealth. The two countries are yet tightly linked. Every year, 11 to 12 millions of British people visit France. There are vast communities of expats in both countries, massive flows of trade and investment. This cooperation is based on a very close mutual knowledge. Most importantly, Britain and France are together in difficult times. We have seen it recently with the commemorations of D-Day, of the First World War and even more vividly when France was attacked in January. The Franco-British relation is also based on fascinating differences, for example on European questions. I think British and French people fundamentally enjoy each other’s company, find each other stimulating as they always enjoy have a good argument. A lot has been said about the French community in London, what can you say about the British community in Paris? There is a real difference. The French community is largely based in London and mostly composed of young professionals whereas the British community is spread everywhere in France and covers a wider range of ages and situations. Both are however very significant. There are no official, numbers but both communities are several thousand strong. You said you served as the British Permanent Representative to NATO. How is a bilateral Ambassador’s job different from multilateral diplomacy? There is a big difference. Being an Ambassador to a multilateral organization implies working constantly with your colleagues from other Member-states to make agreements and find ways of working together. In NATO I spent a lot of time with my 27 colleagues in the Council, on the theatre of NATO operations and even in the evening in the numerous receptions. Here, as a bilateral Ambassador, I have fewer contacts with diplomatic colleagues. It is a very different job. Besides, I must cover a much wider range of topics. A week of work can consist of commercial visits, attending sport matches, meeting ministries, lobbying the government, visiting a provincial city, doing a speech or an interview. My job is to help modern Britain and modern France to do innovative things together. Many think Britain and France are midsized countries clinging to the military (and diplomatic) infrastructure of larger powers. Do you think Britain and France can still have global influence? This assertion is not fair. Britain and France are the world’s fifth and sixth most powerful economies. They would therefore be at the top of the “mid division”. To me, both countries are still very significant economically. 190 countries are economically less powerful. In addition, France and Britain still have strong and influent diplomatic networks and they are two of the few European countries that have both capable armed forces and political authorities willing to deploy them abroad. As nuclear powers and permanent members of the United Nations Security Council, Britain and France are strongly global, with both a sense of responsibility for peace and security. This also explains why France and Britain are natural partners on defence and security issues. Do think there are areas in which the Franco-British cooperation could be strengthened? You can always deepen things. Yet, it is quite hard to think about areas where Britain and France do not already closely cooperate. Every day I am amazed to learn about Franco-British initiatives that we did not know of at the Embassy. An important part of the tapestry of links is student initiatives and exchanges. In that regard, I want to say “chapeau” to the Franco-British Connections, who contributes to the dynamism of those exchanges and encourages the new generations of Franco-British students and alumni to develop their own enterprises. Student exchanges are one of the areas where cooperation goes on without the need for governments’ intervention. March 5, 2015 in Portraits.